In life, there are certain experiences that help shape you as a person. Whether it’s our first sporting event, concert, or destination trip, it can help steer you into your passions. 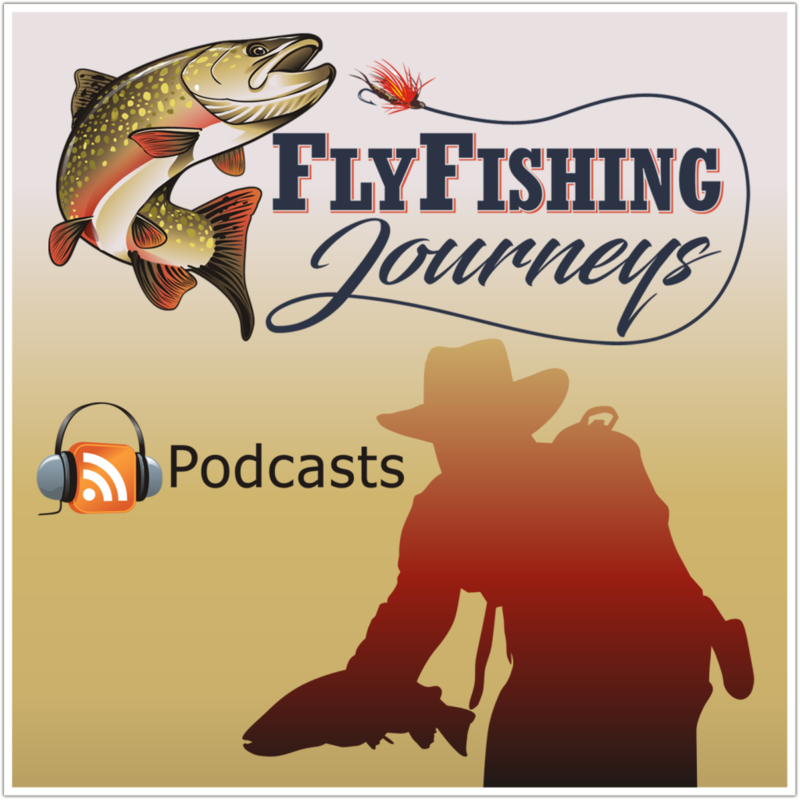 This was true for me with my first true out of state fishing trip. About 10 years ago my aunt worked for a small private school where we use to go over to help with projects they were working on. For one of the projects We had to barrow one of the board members truck and trailer to transport our tractor to the school. My dad noticed some pictures in the truck where the owner did a backcountry float trip through the Bob Marshall Wilderness in northwestern Montana. When he asked about the pictures, he learned of a timeshare they owned in Whitefish, MT which is a half hour outside the Wilderness and Glacier National Park. A few weeks later they gave my uncle , brother, dad and I a week of their timeshare for all the volunteer work we had done over the years. 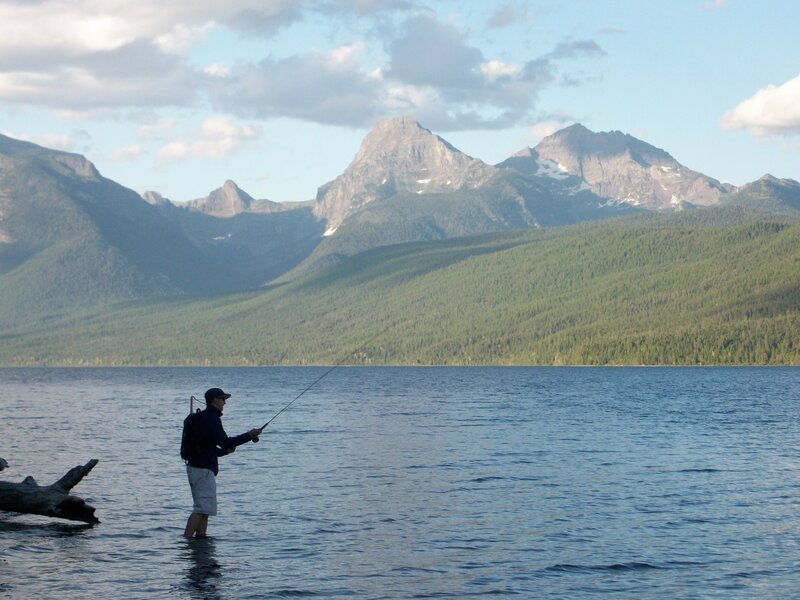 We decided to go July 30-August 7 which is prime time to be in northwest Montana. We flew from Manchester, NH first thing in the morning and landed in Kalispell, MT around 10:00 am. We rode in style for the week with a convertible Ford Mustang as our rental. It turned out to be a perfect car when taking in the breathtaking views of the park. 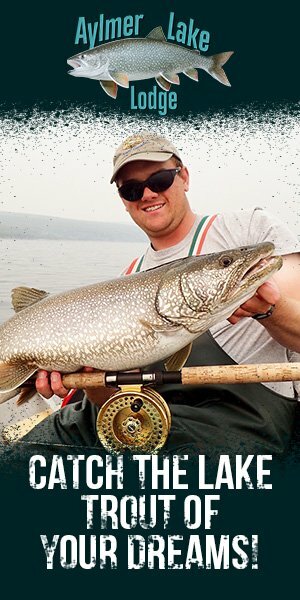 We stopped at the local sporting goods store to grab licenses and a few necessities. After dropping things off, we took a ride to check out the park. 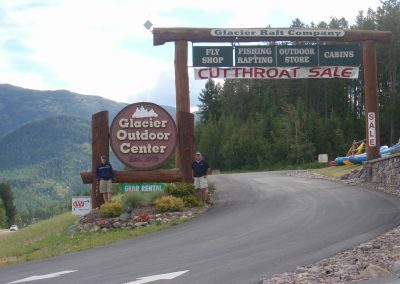 Just before entering the park we stopped into Glacier Anglers to set up a float trip for August 1st. 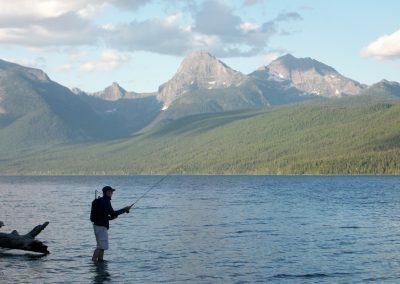 We continued driving through the park and stopped at few places on lake McDonald and the North Fork of the Flathead River to throw a few casts. The next day, we packed up the mustang and headed to the highest point on the Going-To-The-Sun road, Logan Pass. From here we did a three mile hike through snow to Hidden Lake. After taking in the breath taking view at the over look, we continued on down to the lake. 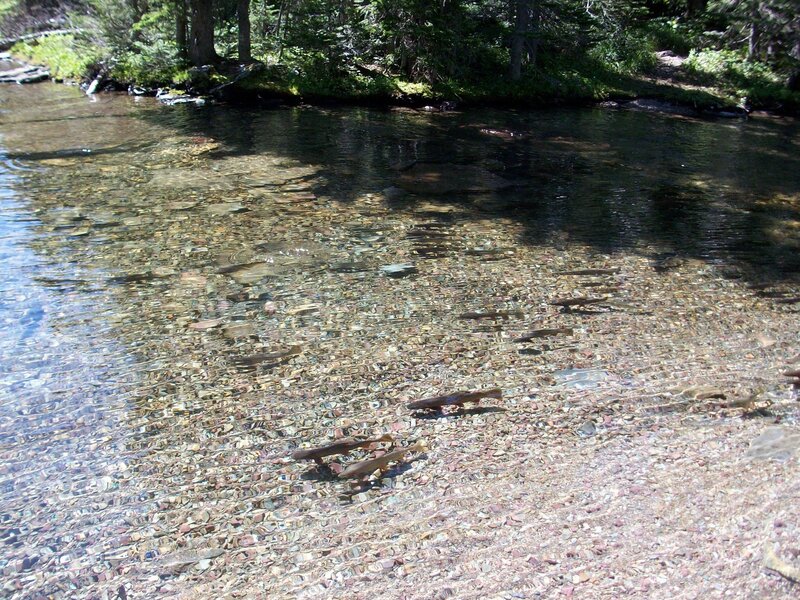 Here we found the dream of every fly fisherman, a lake and river stacked with Yellowstone cutthroat trout. After catching a few, we decided to take a walk around the lake. 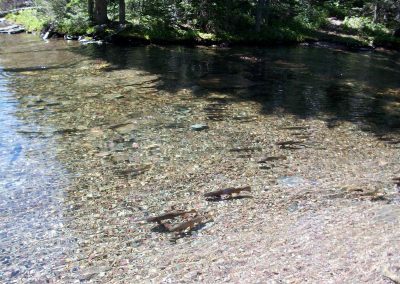 We found a spot where a brook was flowing into the lake and like the outlet, there were fish stacked up just off shore. As I was changing flies I heard something coming down towards us. 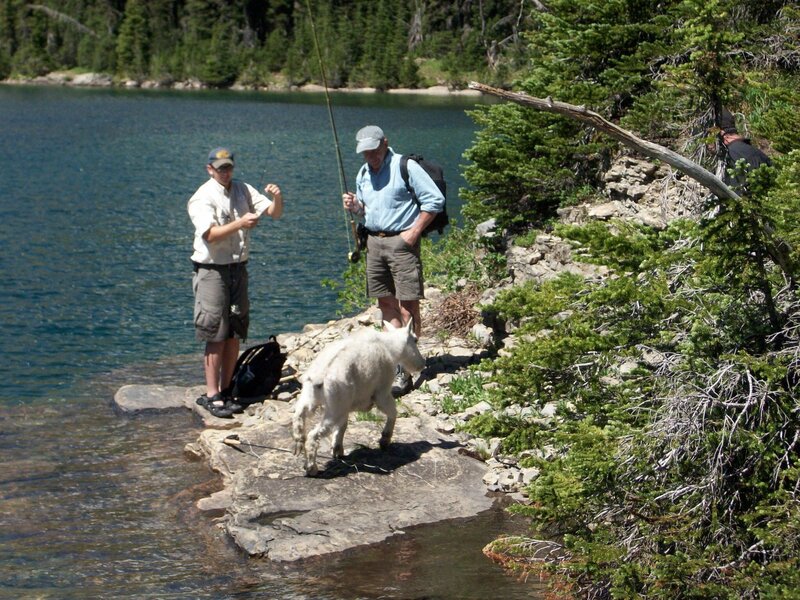 All of a sudden a mountain goat comes out of the woods between my dad and I. Thankfully it continued down the shoreline without bothering us. After we worked our way back to the outlet we decided to head back the to the car around 3:00pm. On the way back we took my uncle out for his birthday at a local restaurant where we tried some of the local fair including some huckleberry pie. We woke up the next morning and got ready for our first float trip. 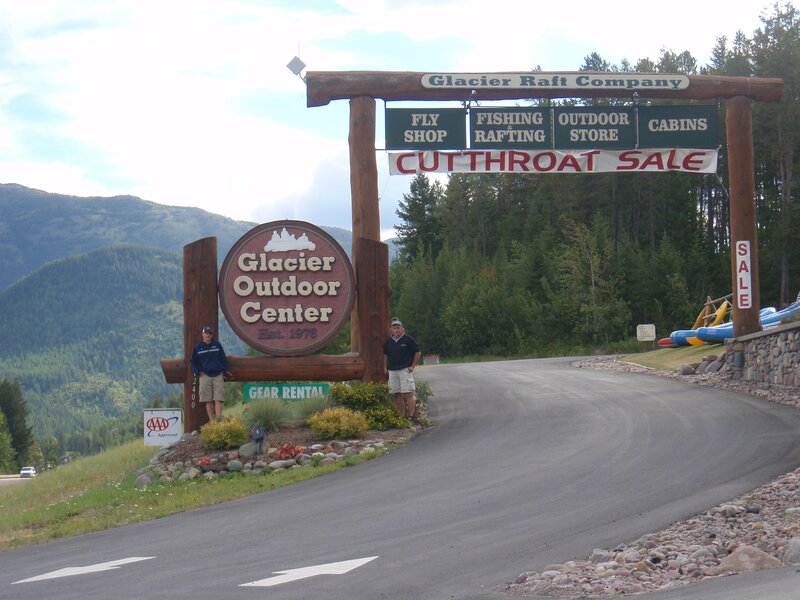 My dad and I were dropped off to the at Glacier Anglers to meet up with our guide for the day. 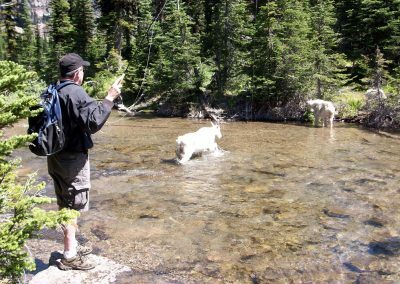 He took us down the North Fork of the Flathead River from the put in at Coal Creek to the Big Creek Campground take out. 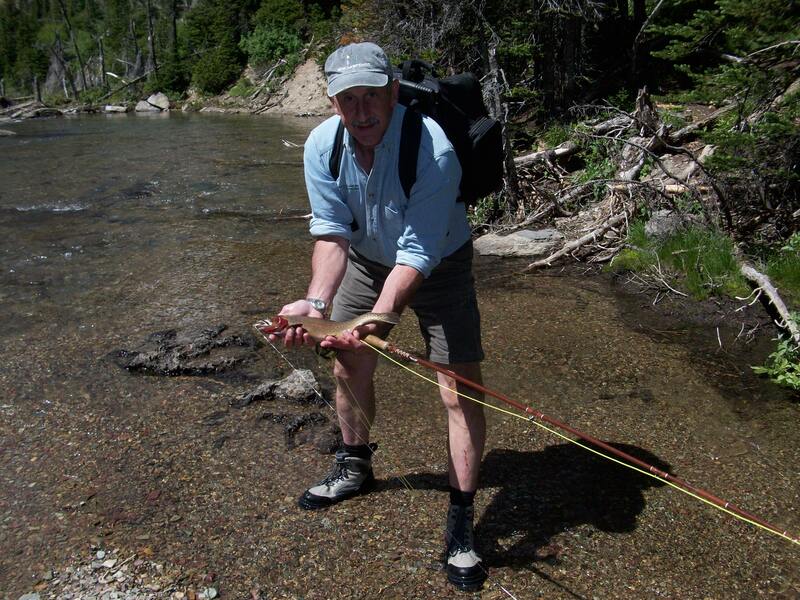 Here we caught a number rainbows, cutthroats, cuttbows, and a rare bull trout. We used a dry dropper system of Chernobyl ants and various nymphs. 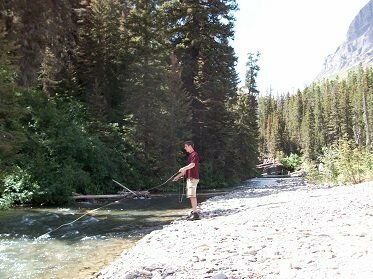 One of the highlights of the trip was when we got to a junction in the river where we caught 3-4 fish on consecutive cast. Then all of a sudden the fish seemed to disappear and for good reason. 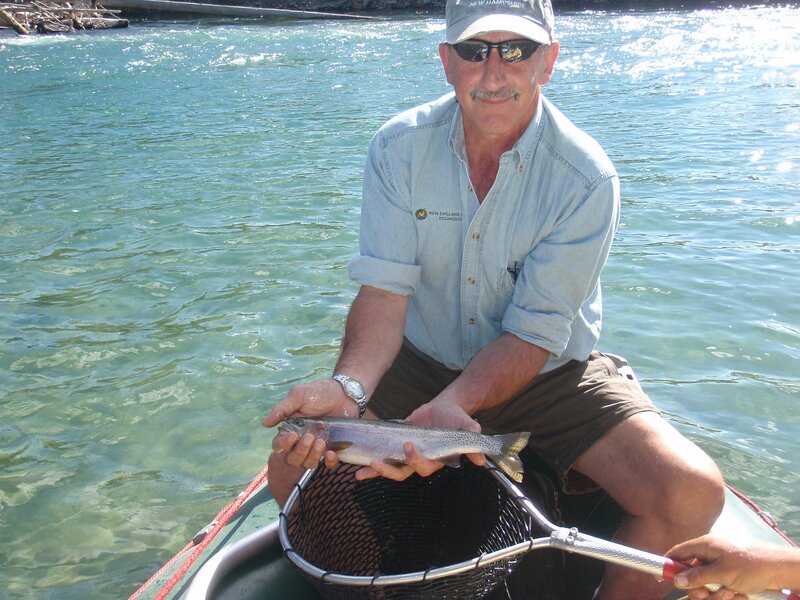 As I looked off to the left side of the raft a giant bull trout came swimming by. Unfortunately it didn’t stay around so we continued on to the take out. 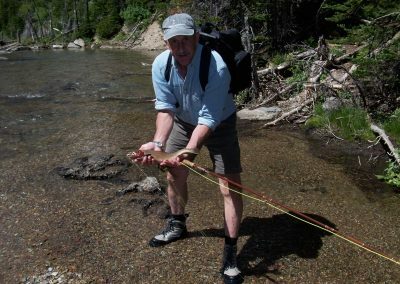 Just before we got to the campground, the guide had me throw a few casts with a streamer. On the third or fourth cast I managed to catch a small bull trout which was a great way to end the trip. After a day that ended up being more of a sight seeing day than fishing, we took a hike up to Avalanche Lake. 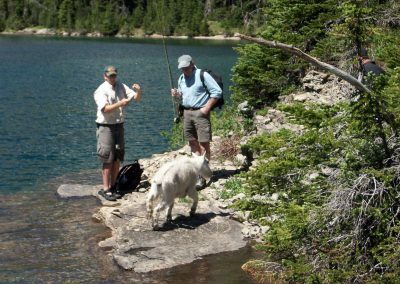 This high alpine lake is home to native westslope cutthroat trout. 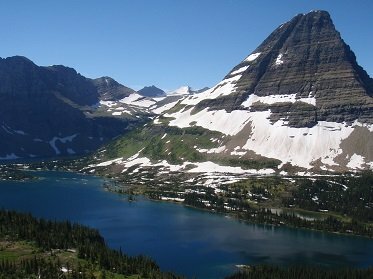 As with Hidden Lake, it’s tough to not notice the shear beauty of this place. 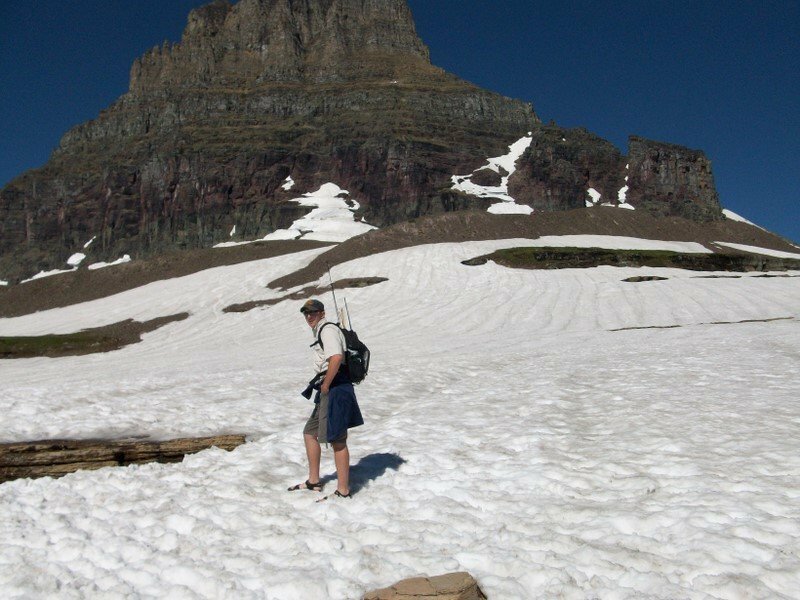 The lake is surrounded by steep cliffs with three distinct falls that are fed by the Sperry Glacier. We spent the day fishing our way around the lake. 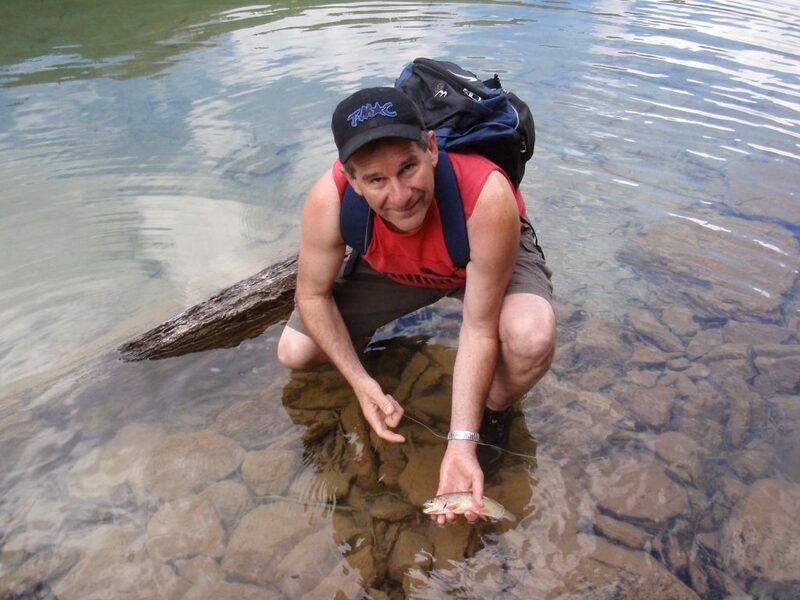 My uncle and I found good success fishing Caddis dries on all sides of the many trees that have dropped into the lake. I wish I could say the same for my dad but he had one of those days where he got skunked. 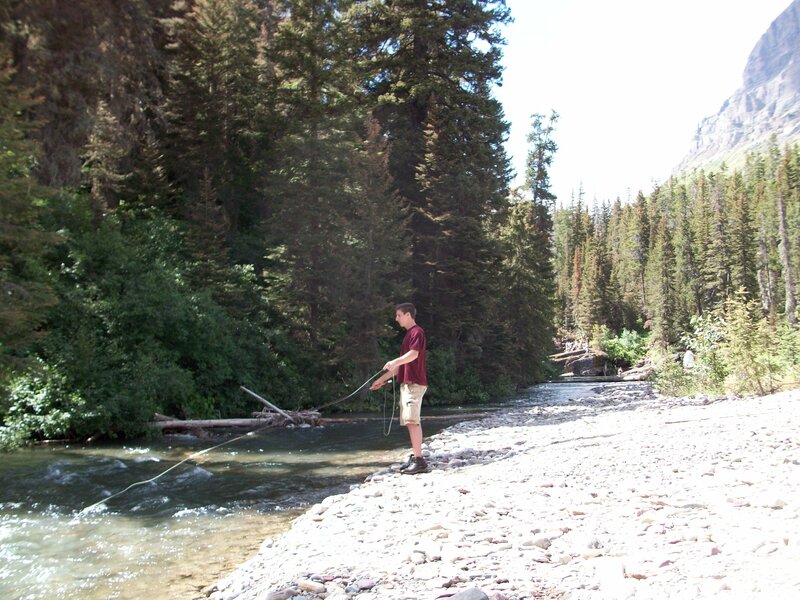 We decided to go up one of the tributaries that fed the lake to see if we could find some fish. We came to a pool that had a fish in it. I tried a number of casts but failed to land it. My uncle came through after me and landed the fish on the first cast. 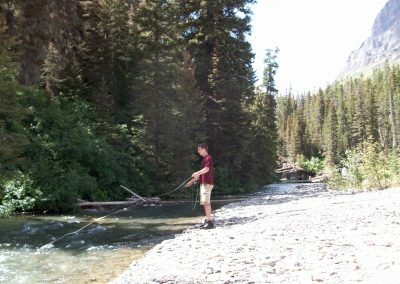 We continued fishing around till we got back to the north end and headed back down and called it a day. On the last day of the trip we stopped into a Stumptown Anglers to get an idea of somewhere to go. 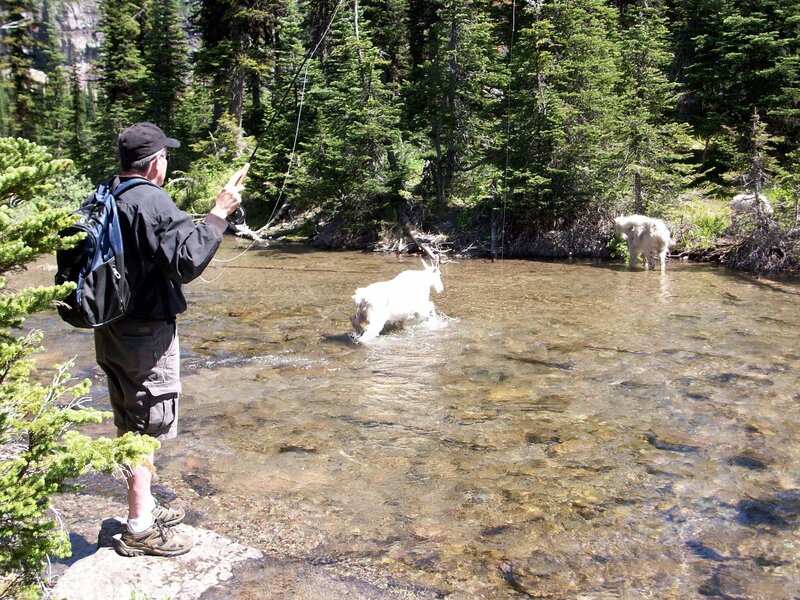 The owner suggested making the trip into the Flathead National Forest and fish the Spotted Bear River. We left the shop and took the 70 mile trip into the Montana back country. Once again the scenery didn’t disappoint as we made our way down to the steep banks to the gravely river. 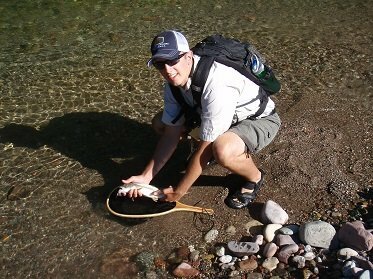 I started out throwing streamers and picked up a small bull trout. 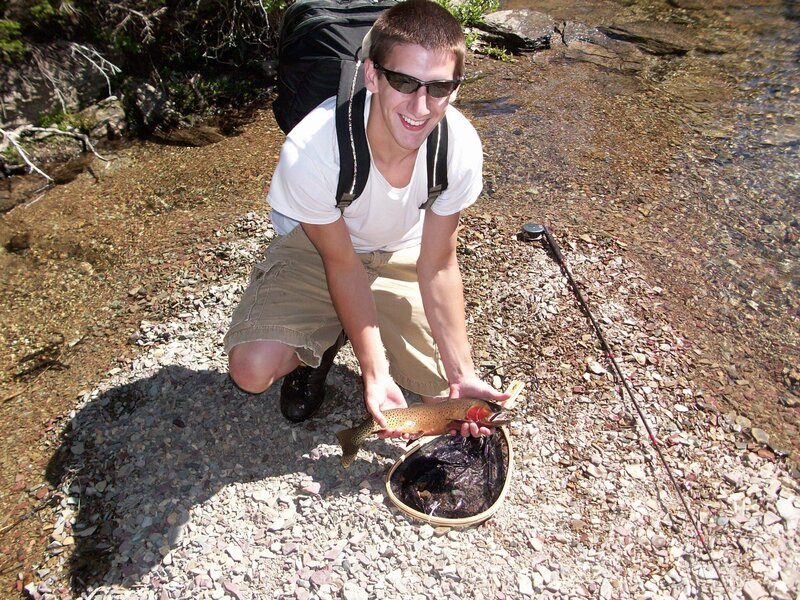 My brother followed suit and got a nice bull trout. 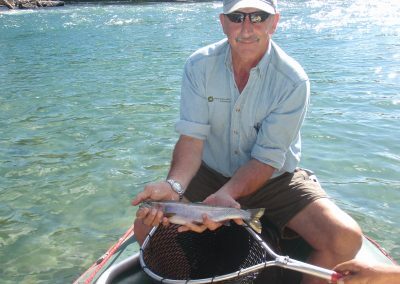 As we moved a long, my uncle showed us how it’s done by catching three big cutbows on Chernobyl ants. Due to the long ride back we had to call it a day earlier than expected. As with any great trip, the returning home is always hard. When you pack up and head to the airport you look back at the amazing experience you had. When I got home from the trip I got out as much as I could till I went back to college for the year. 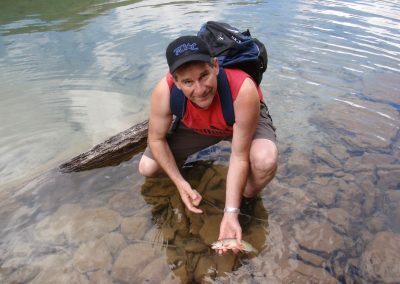 Every year after that my knowledge and sense of adventure continued to grow into an obsession. As I sit hear writing this with my new born son, I hope to be able to take him on similar adventures to help fuel his passions. Awesome story Chris!!! Loved it! Glad that you were able to make the trip, especially with Uncle Art!! Enjoy life and have more adventures!! !